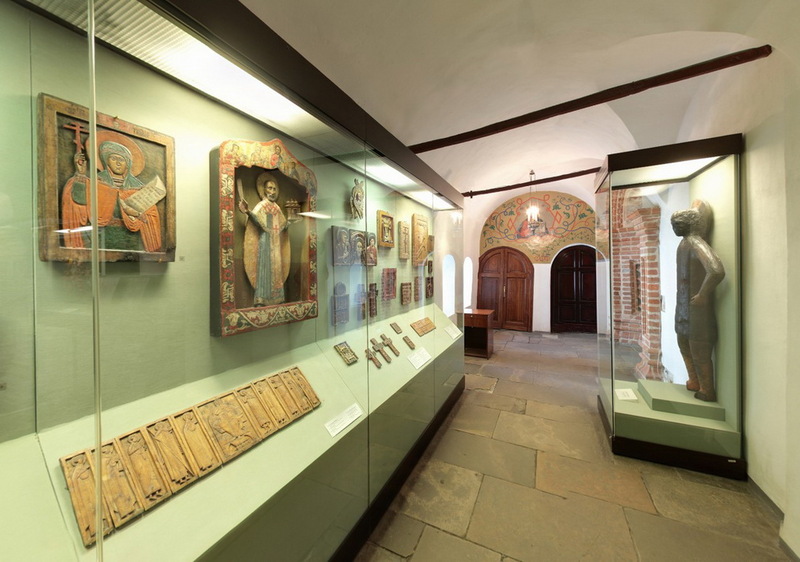 Exposition in the northern cloister of the church displays the collection of Russian wooden sculpture and carvings of the Moscow Kremlin Museums. Monumental iconic sculptures, carved icons, small crosses and folding icons give an idea of the development of church art in the 15th-19th centuries. The basis of the collection is pieces of art historically related to the Kremlin, its churches and monasteries. 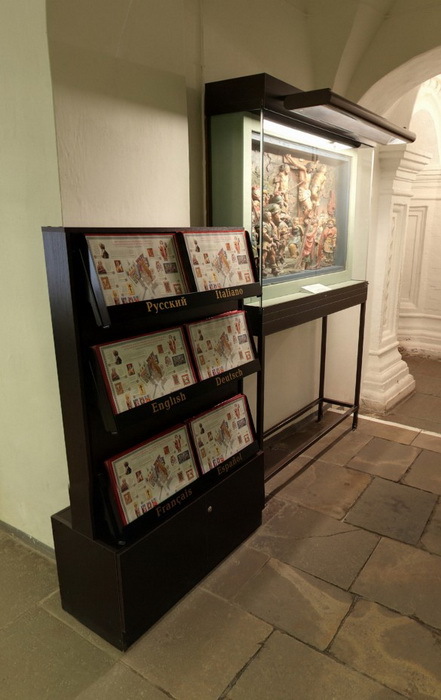 Most of them date back to the 17th century, the prosperity of the Armoury Chamber, which had become the biggest art center of Russia by that time. 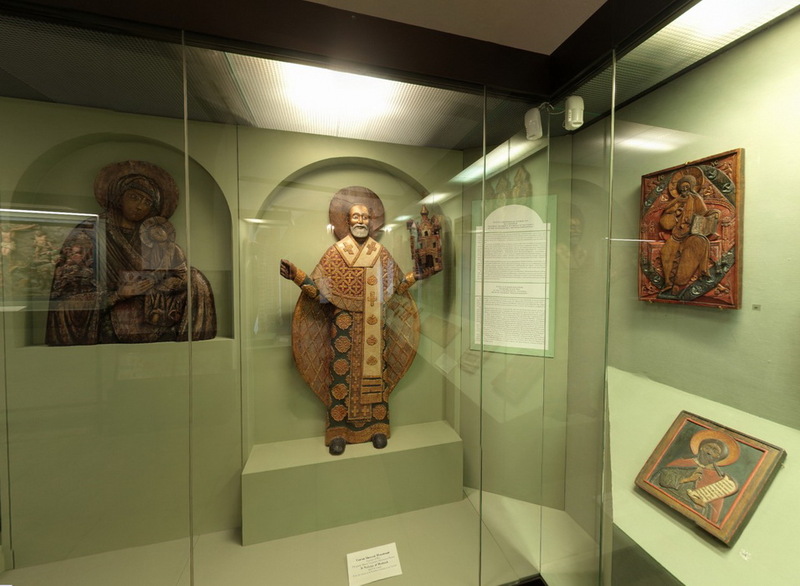 The display presents works of different types made in such cultural centers as Moscow, Novgorod, Rostov Velikiy and the monasteries of the Russian North. One of the oldest wooden sculptures of this kind is a high relief of St. George made in the late 14th-early 15th centuries.